The Beatles comparison with Stackridge is apt, not just because George Martin produced one of their records, but because they drew from similar sources. More importantly, they take a fairly open ended approach to composing, so there is a certain degree of eclecticism within each song. The more directions they can push material, the more variations on a theme they can squeeze in, the better. The band’s best record is probably Friendliness, which employs this approach to the greatest effect. It begins with Lummy Days, an instrumental track laid out like a sonata with an exposition, development, and a twist on the recapitulation. It’s why this band typically gets lumped in with other prog acts though the focus is never on instrumental prowess the way ELP or Yes was. 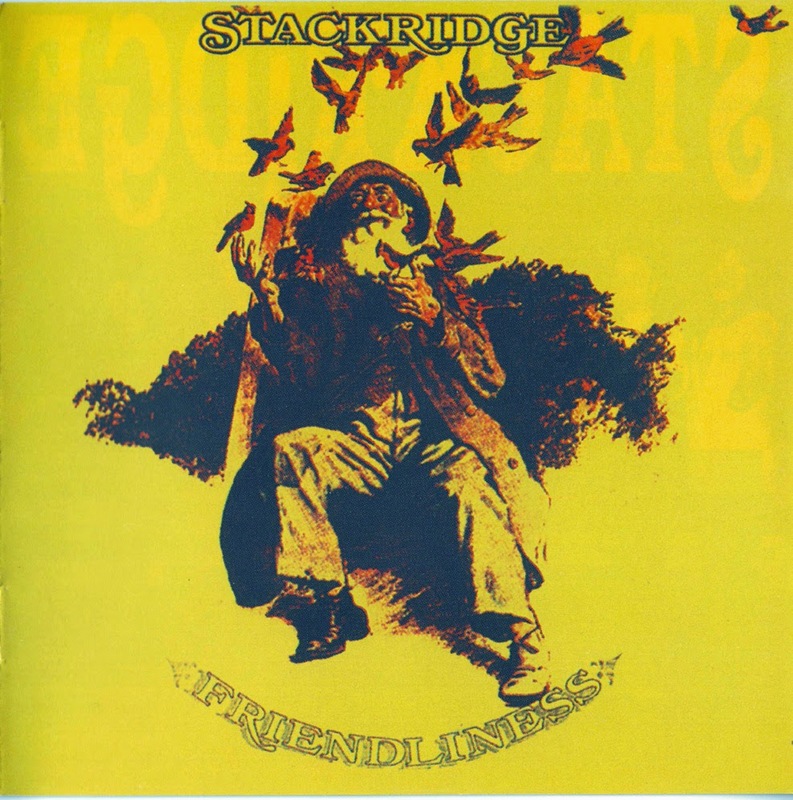 This is less a collection of songs than a set of compositions, and if you choose to be turned off by the pretentiousness of this notion, then Stackridge is not your cup of tea. But for those who like to see a band stretching the boundaries of popular song using techniques developed by smart, dead, white guys, then look no further. On this record the band never loses sight of melody and its overriding importance in pop music. A song like There Is No Refuge is quite lyrical and might remind some of the more delicate moments from Of Montreal. My guess is Kevin Barnes absorbed his share of Stackridge records before he started cranking out albums like Coquelicot Asleep in the Poppies. The best named song on the album, and perhaps the best song period, is Syracuse (the letter “y” idiosyncratically pronounced with a long “i”) the Elephant. This takes a beautifully symmetrical melody and morphs it first into a minor key lament, then into a circus-like ditty and finally into an Indian-tinged section, sitars and all, before restating the main theme. It’s a very strong set of songs whose main strengths are tunefulness and unpredictability. Even after many listens it’s hard to guess where the music is going next, but each bend in the road is meant to welcome you, not turn you away. The only serious misstep is the token Glitter rock piece, Keep on Clucking, which reads like the shameless grab for the charts it is. But apart from that outlier, Friendliness is a font of many pleasures. I think it could easily appeal to those normally turned off by the prog moniker sometimes attached to it. 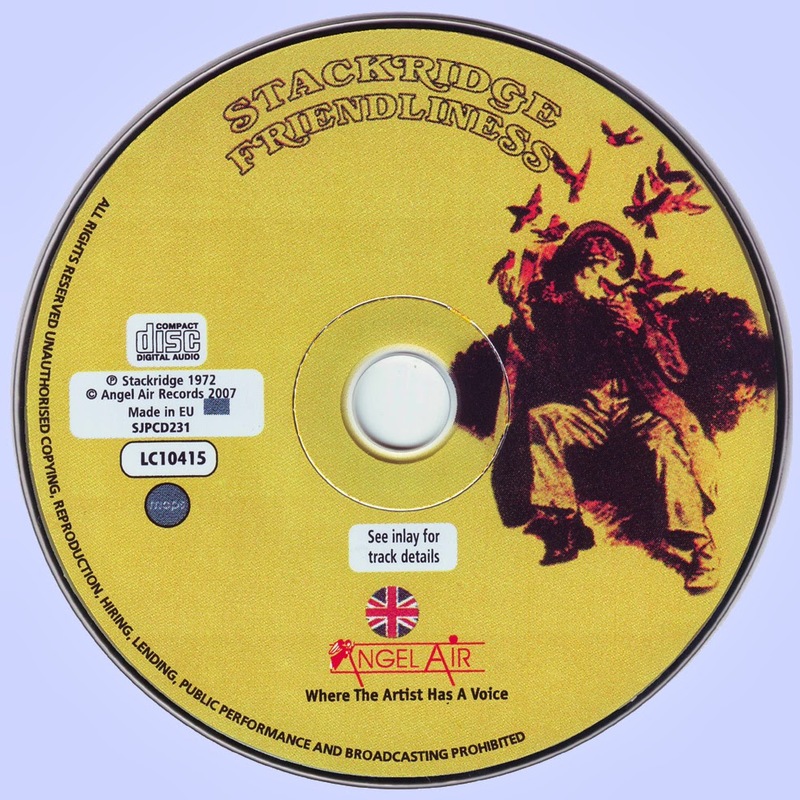 It may not be surprising that Stackridge never achieved mainstream success since such restless eclecticism usually proves too challenging for the casual listener. But for people who can devote more than two minutes and thirty seconds of their attention spans to enjoying music, this album will reward the time spent with it.